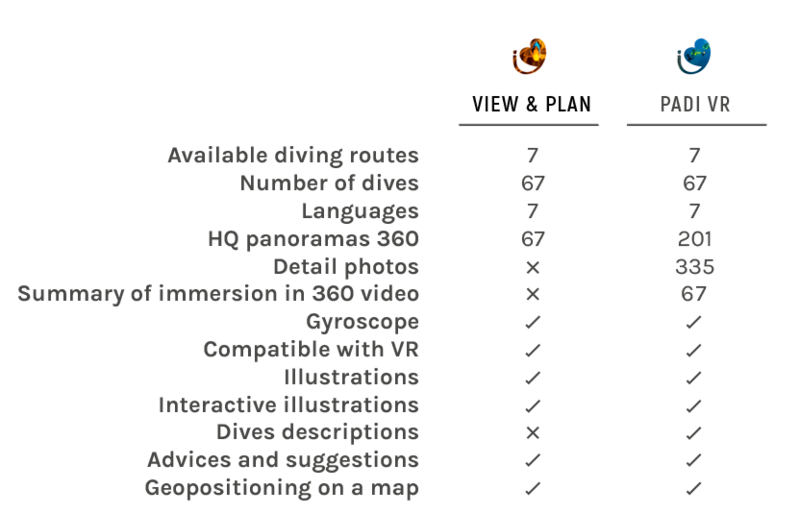 The final diving guide for the most selective divers. In this app you will find not only the essential content for planning, which is available in “View & Plan”; but also additional content which will complement the meticulous and exclusive knowledge of the most selective divers: 335 photos, 130 new panoramas, possibility of discovering each one of the 67 dives in 360º videos, and an endless amount of possibilities. PADI VR Scuba Planner is the definitive diving guide for the most selective divers.